Seal Rocks, off the coast of Phillip Island, is home to the largest colony of Australian Fur Seals in Australia. Unfortunately, these amazing marine mammals occasionally get entangled in fishing gear, nets and marine debris. Once a month, researchers from Phillip Island Nature Parks and a Marine Biologist from Wildlife Coast Cruises land on Seal Rocks, to try to catch and release entangled seals. Every visit, the team rescues around 4-6 seals. Passengers on the Seal Watching Cruise are informed of these issues and encouraged to collect rubbish along waterways to help prevent entanglements. Any photos taken by passengers of entangled seals are shared with the Wildlife Coast Cruises team, to track the number of entangled seals and how it affects their behaviour. 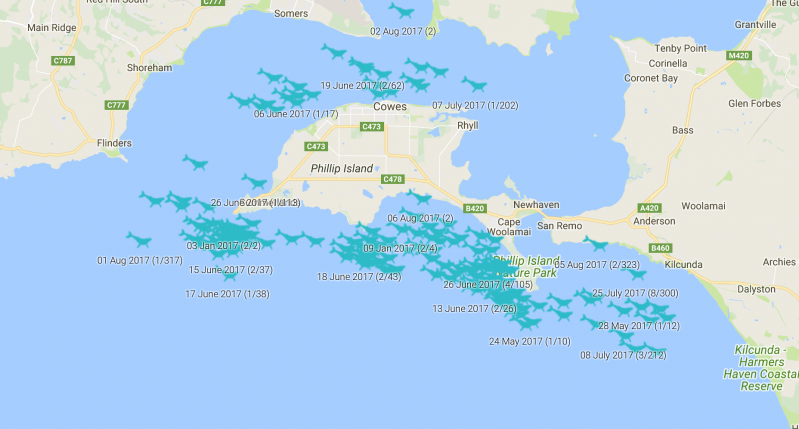 Wildlife Coast Cruises has continued to work closely with the Dolphin Research Institute on the Two Bays Whale Project; monitoring whale migration movements along Phillip Island and Port Phillip Bay. Whale sightings are recorded and collated, and include citizen input, from land and vessel-based sightings. A dedicated Google Map plots where whales are seen across this magnificent stretch of coastline. Fluke images are accepted from passengers on cruises to add to the research database. SMS hotline service are also sent out to local network of whalewatchers to encourage community involvement. The project provides a repository for photographic identification imagery and sightings information. The image repository is a resource for existing identification catalogues. The key species’ for this citizen science project are Humpback and Southern Right Whales but may also include other species such as Orcas, Minke and Blue Whales. 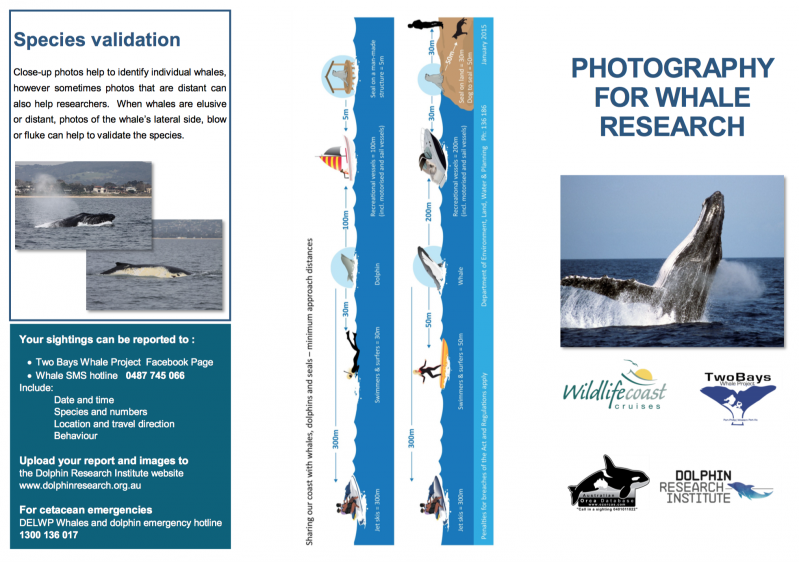 For tips on capturing whale images for research, please download the research photography factsheet here.